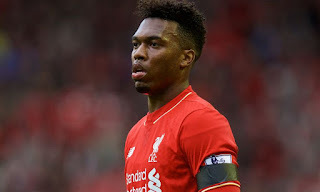 Liverpool's somewhat over-looked striker, Daniel Sturridge scored his first Premier League goal this Season in the 4-1 defeat of Stoke City at Anfield on Tuesday evening and afterwards was in a contrite and philosophical mood regarding his position in Jurgen Klopp's pecking order upfront. "The most important thing is that I keep my mindset as positive as possible", he stated. "It is a team game at the end of the day, everyone is going to be needed in the squad. I have not had any issues or problems within the camp. "I am enjoying my football and when I get my minutes I focus myself, and if I am not in the team I stay positive and give my input when I can. "It is nice to play and score goals." Liverpool went 1-0 down early on against Stoke, but Sturridge was quick to stress they never had any doubts they would bounce back. "We were very resilient. We never give up, we keep going throughout the game and we know that the hard work is going to pay off at some point," he added. "That is the most important thing for us. "It is important that the team keeps going and puts the pressure on." Fair play to him for not sulking when he is not being picked for selection. He has been behind Firmino and Origi in getting selected for much of this Season, but he has taken it on the chin and now looks set for reward as Mané will soon be off to the African Cup Of Nations, Origi may also be dropped for the Man City game this Saturday.